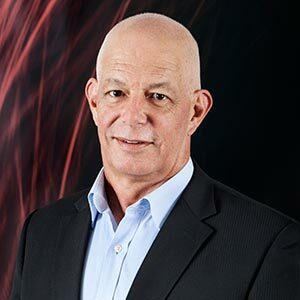 Ivan Ravlich is a qualified Quantity Surveyor who specialises in Project Management, Construction Management, Financial Control and Tenancy Liaison, with experience spanning more than 30 years. This includes extensive design and construction management and estimating experience, working on hospitals, retail centres, office parks, banks, apartment buildings, schools, gymnasiums and sports facilities. Ivan is currently involved in the construction of the Battle Training Facility for the New Zealand Defence Force, and the design and construction of the Mangere Refugee Resettlement Centre. More recently he was involved in the upgrade of the main theatre at the Aotea Centre, the development of Next Generation Auckland Domain Tennis and Gym Facility and the Pah Homestead restoration for Auckland Council. Ivan has been the project manager/client representative on numerous apartment building projects over the past 20 years, Shoalhaven, Maison, Sexton, St James, and York Street to name a few. He was also the Project Manager responsible for the design, documentation and tendering of the new Acute Mental Health Unit in Grafton. His role entailed managing the consultant team, liaising with clients and a financial overview. Prior to this, Ivan was responsible for design co-ordination and construction of the Maritime Square office buildings and car parking at the Auckland Viaduct. His role as client representative included overall financial control and tenancy coordination, including managing the fit-outs for Bayleys and Hewlett Packard where the tenancy fit-out requirements were integrated into the base build first fix design.